The U.S. Environmental Protection Agency and the U.S. Army finalized the Clean Water Rule this week to protect from pollution and degradation the streams and wetlands that form the foundation of the nation's water resources. The rule ensures that waters protected under the Clean Water Act are more precisely defined and predictably determined, making permitting less costly, easier, and faster for businesses and industry. The rule, say the agencies, "is grounded in law and the latest science, and is shaped by public input. The rule does not create any new permitting requirements for agriculture and maintains all previous exemptions and exclusions." "For the water in the rivers and lakes in our communities that flow to our drinking water to be clean, the streams and wetlands that feed them need to be clean too," said EPA Administrator Gina McCarthy. "Protecting our water sources is a critical component of adapting to climate change impacts like drought, sea level rise, stronger storms, and warmer temperatures -- which is why EPA and the Army have finalized the Clean Water Rule to protect these important waters, so we can strengthen our economy and provide certainty to American businesses." "Today's rule marks the beginning of a new era in the history of the Clean Water Act," said Assistant Secretary for the Army (Civil Works) Jo-Ellen Darcy. "This is a generational rule and completes another chapter in history of the Clean Water Act. This rule responds to the public's demand for greater clarity, consistency, and predictability when making jurisdictional determinations. The result will be better public service nationwide." About 117 million Americans -- one in three people -- get drinking water from streams that lacked clear protection before the Clean Water Rule. Protection for many of the nation's streams and wetlands has been confusing, complex, and time-consuming as the result of Supreme Court decisions in 2001 and 2006. EPA and the Army said this week's action provides clarity on protections under the Clean Water Act after receiving requests for over a decade from members of Congress, state and local officials, industry, agriculture, environmental groups, scientists, and the public for a rulemaking. In developing the rule, the agencies held more than 400 meetings with stakeholders across the country, reviewed over one million public comments, and listened carefully to perspectives from all sides. EPA and the Army also utilized the latest science, including a report summarizing more than 1,200 peer-reviewed, published scientific studies which showed that small streams and wetlands play an integral role in the health of larger downstream water bodies. Clearly defines and protects tributaries that impact the health of downstream waters. The Clean Water Act protects navigable waterways and their tributaries. The rule says that a tributary must show physical features of flowing water -- a bed, bank, and ordinary high water mark -- to warrant protection. The rule provides protection for headwaters that have these features and science shows can have a significant connection to downstream waters. Protects the nation's regional water features. Science shows that specific water features can function like a system and impact the health of downstream waters. The rule protects prairie potholes, Carolina and Delmarva bays, pocosins, western vernal pools in California, and Texas coastal prairie wetlands when they impact downstream waters. 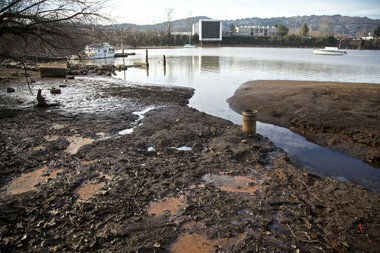 A Clean Water Act permit is only needed if a water is going to be polluted or destroyed. The Clean Water Rule only protects the types of waters that have historically been covered under the Clean Water Act. It does not regulate most ditches and does not regulate groundwater, shallow subsurface flows, or tile drains. It does not make changes to current policies on irrigation or water transfers or apply to erosion in a field. The Clean Water Rule addresses the pollution and destruction of waterways -- not land use or private property rights.